Toronto, awash in debt and a $575-million deficit, is raising taxes and cutting basic city services. That harms rich and poor alike. Plus the middle class. Toronto should instead be raising revenue and cutting taxes, while retaining basic city services. That would help rich and poor alike. Plus the middle class. The revenue needed to lower taxes and retain services should come from the sale or lease of unneeded or redundant city assets. In city hands, as in the hands of other levels of government, such assets tend to be undervalued, to underperform and to deteriorate. In private hands, such assets are put to more productive work, to the relief of the citizenry as a whole. Chicago, a beautiful and booming city of accomplishments to which Toronto often aspires, shows the way. To finance the social and neighbourhood projects that Chicagoans want, Mayor Richard Daley decided to sell a 99-year lease to operate the Skyway toll bridge. City financial experts, using city valuations, told him it would bring in up to US$900-million. At auction, a private group, recognizing it could manage the Skyway more productively than the city had imagined, paid twice as much – US$1.83-billion. Chicagoans won a windfall that gave them exactly what they wanted: a freeze in property taxes for the third year in a row, a freeze on other fees and taxes, and a US$100-million boost in funding for all manner of local community services. The Skyway was just the beginning. Chicago asked itself if it needed to be in the parking-garage business and decided no. It invited others to bid for the right to run the business and obtained 13 responses, including five from foreign nations. City bureaucrats no longer hire the car jockeys, making Chicagoans better off to the tune of half a billion dollars. The next big windfall that Chicago is pursuing is Midway Airport, which local experts expect would fatten city coffers by a whopping US$3-billion. But the price it ultimately fetches, history shows, could soar above that, once it, too, is auctioned off to the bidder offering the best service, and the best price. Chicago is pursuing an asset-sale strategy for the same reason that Toronto should: The city raided the kitty, leaving it with unfunded liabilities and projections for an irresponsibly large deficit next year, though only half as large as Toronto’s. Next door, Indiana’s new Governor is pursuing the same asset-lease strategy, after a study he commissioned of the Indiana Toll Road revealed that it costs the state US34¢ for every US15¢ it collects. His bureaucrats valued the 157-mile road at US$1.8-billion. The auction revealed it was worth almost US$4-billion. Taxpayers are getting more than the cash windfall, however: They’re getting better governance. The proud new holder of the 75-year Indiana toll-road lease is contractually required to meet government performance standards, to ensure road users get a smooth ride. So, too, is the Skyway leaseholder. In all likelihood, both leaseholders will exceed government standards – users of private roads get more value out of the infrastructure they run by attracting more customers by running better roads. Within three months of taking over the Skyway, the new operators had ramped up Skyway use – and Skyway revenue – by boosting rush-hour staff to shorten wait times for cash-paying customers, and by installing an electronic toll-collection system to eliminate wait times altogether for transponder-equipped customers. Unlike government-run roads, which are characterized by potholes, strewn rubble and gridlock, private-road operators need happy customers to reap their rewards. The Chicago and Indiana approach is part of a trend occurring across the United States and around the world. Last year saw some US$150-billion in infrastructure asset deals, three times as much as the previous year. Toronto has too much at stake not to get in gear, too, and capture the same benefits for its citizens that obtain elsewhere. Chief among Toronto’s needs is an affordable city. With each tax increase that Toronto has seen, more of its middle class has been pushed out of the city, as has more of its businesses. With the loss of these relatively affluent taxpayers, the cost of funding the city falls on a dwindling group of residents and businesses, who must now be taxed more heavily, which convinces more to leave. Through such vicious circles, cities go into slow decline, and sometimes never recover. To arrest this decline, Toronto can start by cashing in the gift of highway assets – the Gardiner Expressway – that the provincial government gave it a decade ago. Under city management, the highway has been a deteriorating embarrassment – part of the $300-million backlog that the city faces in needed road repairs. Sell or lease the Gardiner –and other valuable, under-performing roads, such as the Don Valley Parkway and the Allen Expressway – and the city can dispose of its severe road-maintenance deficit, with billions left over to cut taxes, improve our neighbourhoods, and make Toronto affordable. Next, the city should dispose of the Toronto Parking Authority, the largest municipal parking operator in North America. Taxes can drop again, public-transit use can rise and the environment can benefit – the parking authority’s mandate includes the subsidization of automobile use in the outlying areas, making it one of the city’s chief agents of sprawl. 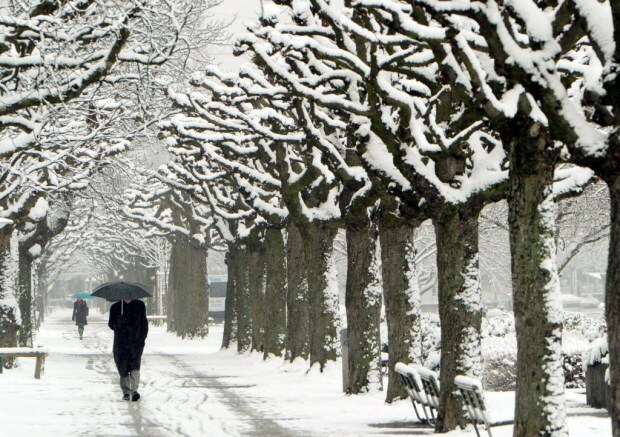 Then there are the miserable city utilities – an ageing power system plagued by blackouts and high costs, a rusting water system that has one of Canada’s highest rates of water-main ruptures, an ever-more costly transit system that’s always in crisis and never reliable. The assets that are wasteful in city hands are, as a practical matter, without end – so many that it would take decades to dispose of them prudently. With each successive sale, taxes could drop, city services could improve, the city environment could become cleaner, city residents would find city life more affordable, and city communities could strengthen. With each successive sale, the city breaks the vicious circle of decline and succeeds to thrive. 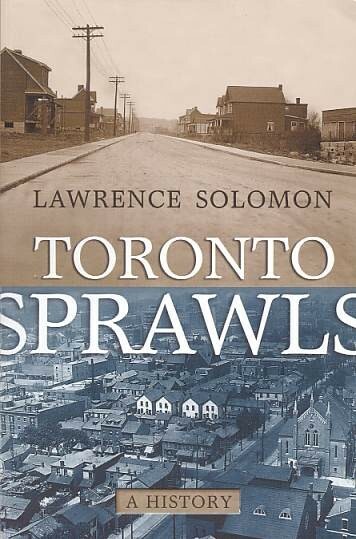 Lawrence Solomon is executive director of Urban Renaissance Institute and author of Toronto Sprawls: A History (University of Toronto Press).